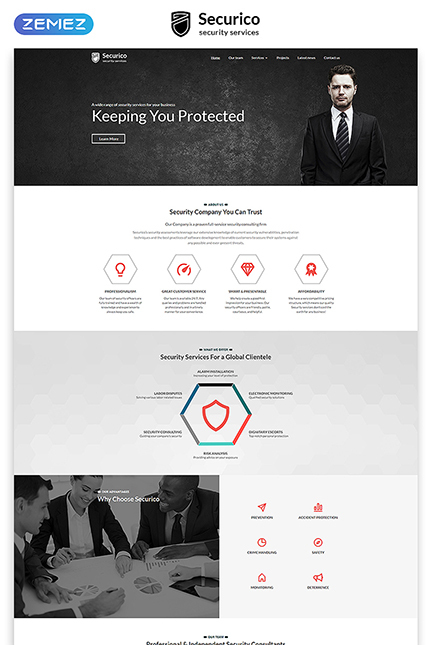 Update your safeguard agency webpage with Securico, a responsive Security Service Website Template. Its flat layout is clean and minimalist, with lots of white space. Combining black, white and grey colors, themes palette is pleasant to the eye. Due to a dropdown menu powered by the SuperFish jQuery module, people will find it easy to navigate through your site. Photos of your security consultants team will bring more trust, as well as the partners logos beneath them. Furthermore, this template takes full advantage of HTML 5, JQuery, CSS3, LESS, semantic and valid coding. In addition, there will be no trouble locating your agency position thanks to the integrated Google Map. 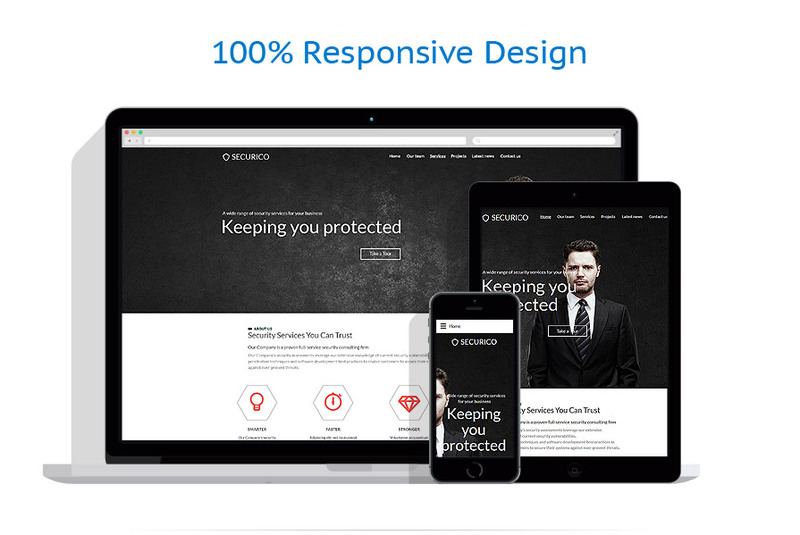 This template is designed for security, military, business, society and electronic websites.